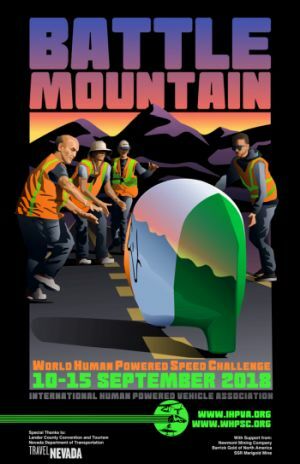 The World Human Powered Speed Challenge will be held September 10th - 15th, 2018 at Battle Mountain, Nevada for the 19th consecutive year of racing. Be sure to follow the action daily and check the WHPSC event website for links, updates, results and photos. Completed forms may be mailed until August 25th, 2018 and emailed until September 5th, 2018. When you have completed and submitted the Application and other forms above, you may use the PayPal options below to submit payment.